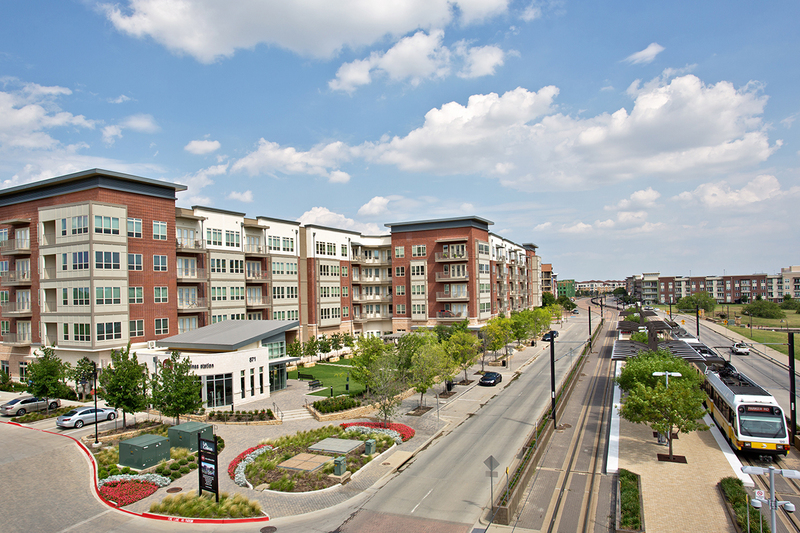 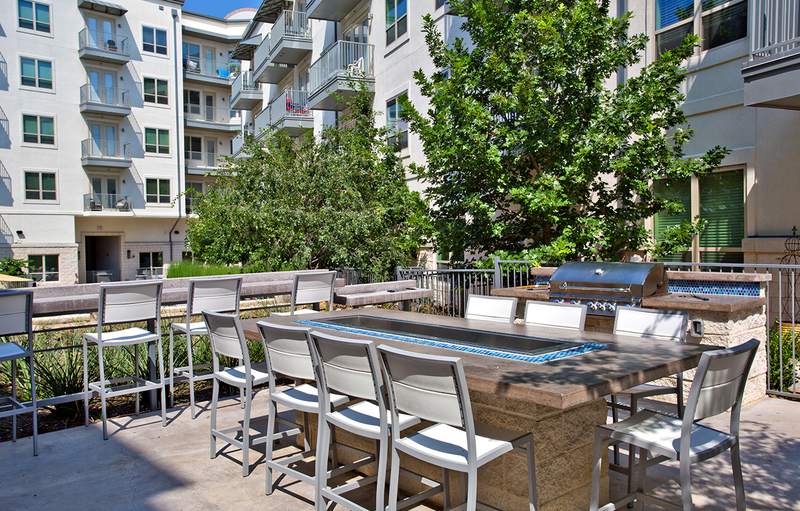 Las Colinas Station is a transit-oriented urban apartment community located within the high employment Las Colinas Urban Center and situated between the DART light rail station and Trinity River Forest. 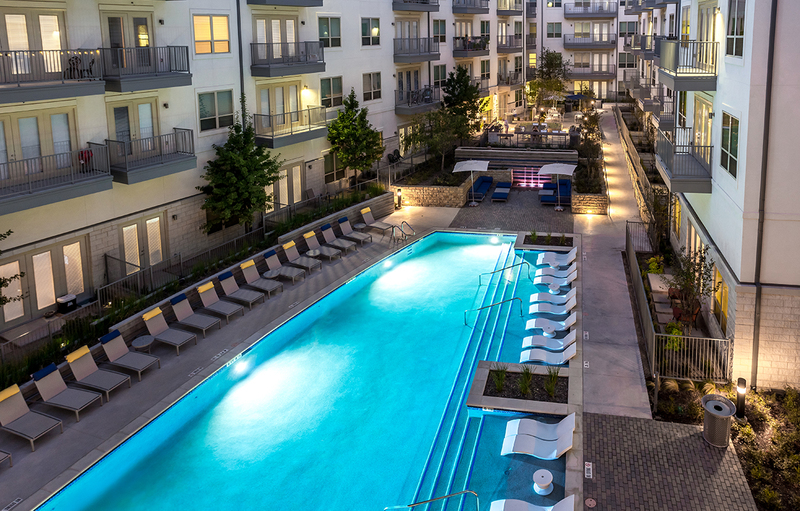 Developed in conjunction with Lennar Multifamily Communities, Catalyst positioned this development to take full advantage of the site's transit frontage by forming a pocket park adjacent to the rail platform and amenitized by a separate fitness pavilion, seating trellis, and urban landscape features. 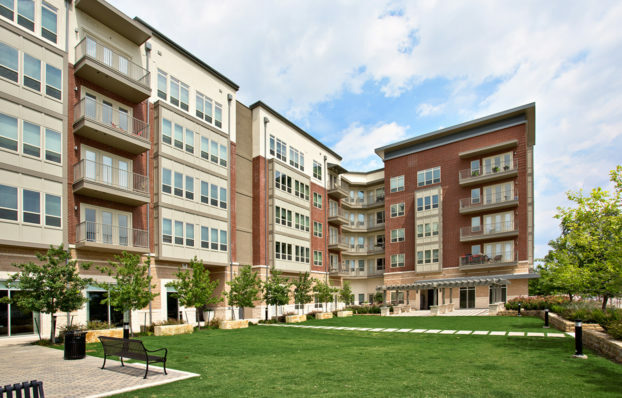 The building is divided between a four story section that runs along the riverfront roadway, and a five story section that runs along the transit parkway. The internal block is accentuated by three outdoor courtyards including a large pool and dining court, a landscaped court with Zen lawn, and a plaza court with private front yards and strung lighting. 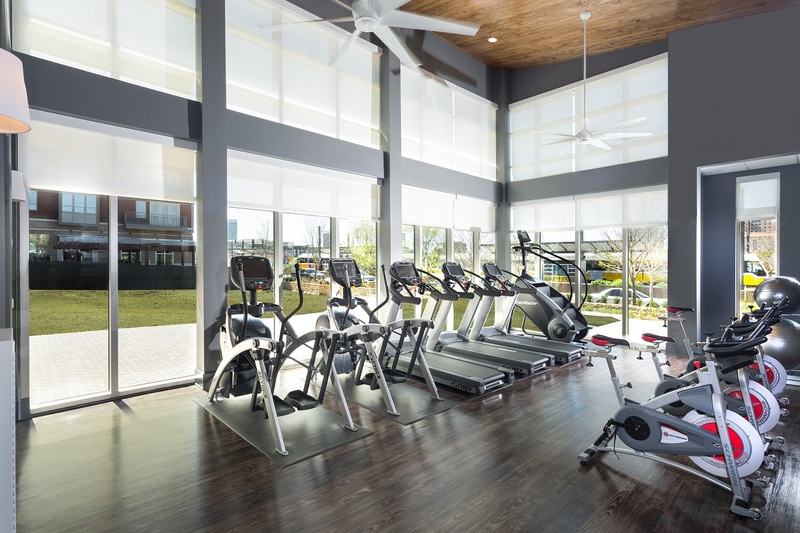 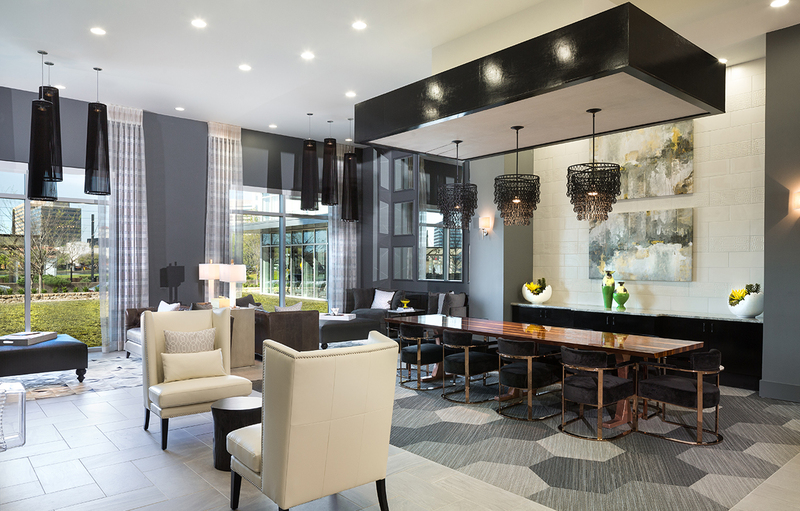 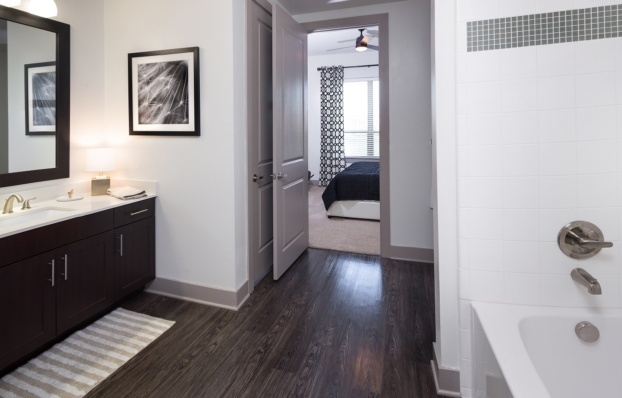 Within the building, residents enjoy a large community club and lounge featuring entertainment seating, gaming tables, dining and community kitchen area, billiard lounge, business center, and direct access to the pocket park, pool courtyard and fitness pavilion. 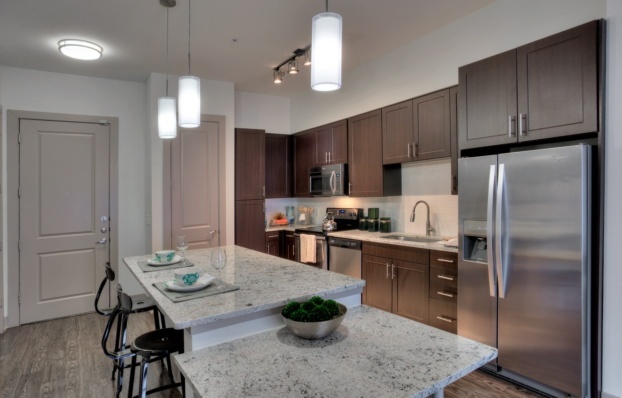 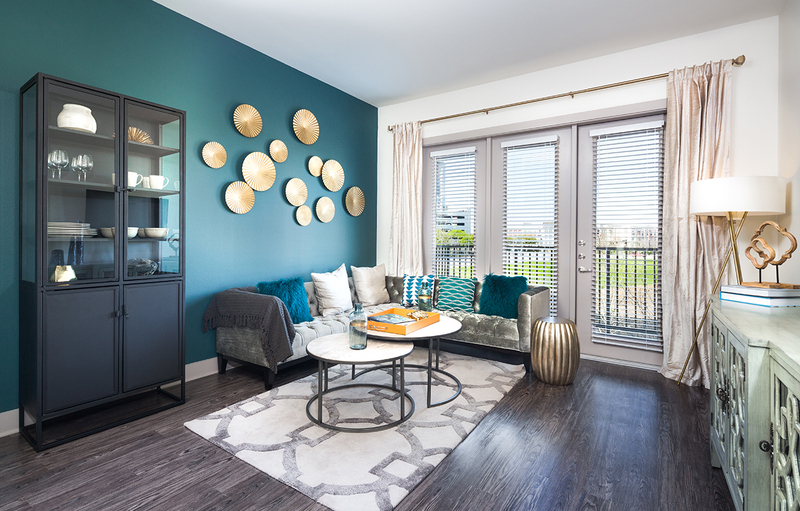 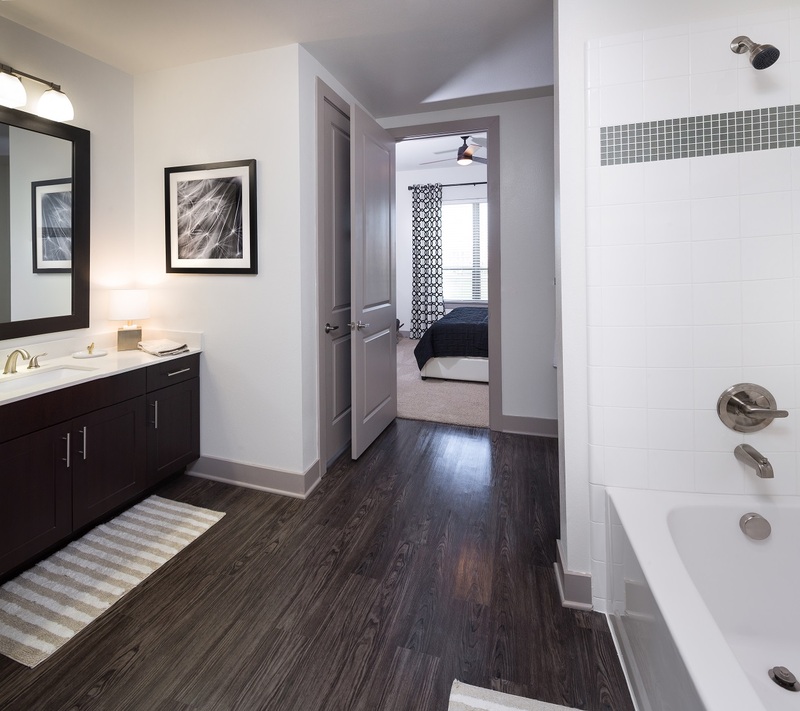 Each residence features 10' minimum ceilings, tiered granite kitchen islands, oversized tub shower combinations, designer finishes, large balconies, and separate storage.